Live your dream and share your passion: A short return to road triathlon :"The first step of getting what you want out of life is deciding what you want"
A short return to road triathlon :"The first step of getting what you want out of life is deciding what you want"
We are two weeks after the Marathon MTB World championships and I have gone from wanting to pack it in and not ever wanting to race again, honestly believing I was the weakest athlete in the elite field, to realising my performance at Worlds was not actually as bad as I thought it was, to looking up qualifying races for 2016 and wanting to work on solely MTB skills and bike fitness for a season in order to be properly prepared so I could give myself a chance to perform well for a race at that level. Time is a great healer. The mind is a great processor. Although I am confident enough to put myself out there, stand on the start line and try things which other people might put in the ‘too hard basket’, I am also the first one to over analyse my results. Almost scared to be proud of an achievement as it might not be as good as it looks. Somehow I rationalise that if I do well it must be because it’s a weak field. If I manage a personal best, the course must have been short. When I hit decent power data on my bike in training there must be something wrong with my Garmin. Self destructive thoughts. I have been called ‘my own worst enemy’. Nothing beats a good MTB descent! 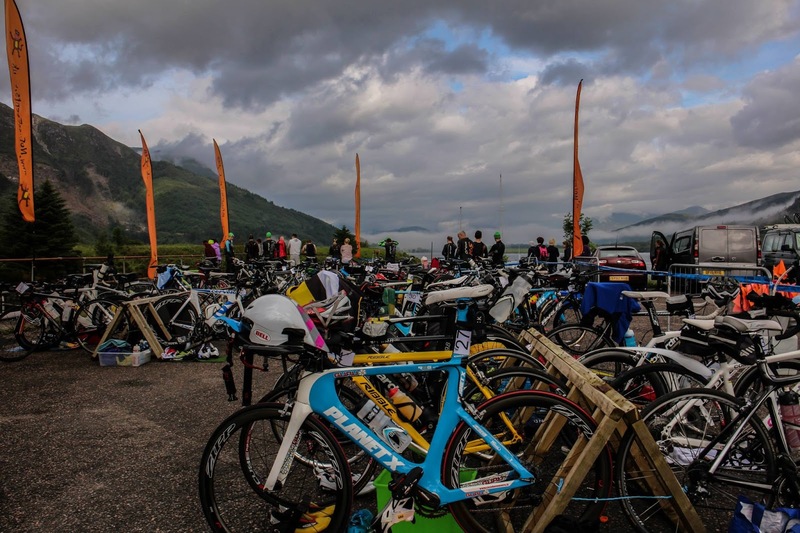 One week after the Sella ronda World Champs I lined up to race the Highland Warrior, a road triathlon organised by No Fuss Events in the beautiful Scottish Highlands. A 1.9km swim in icy cold waters, a 94km road bike and a 20km hill run. I had not raced on the road since 2012. 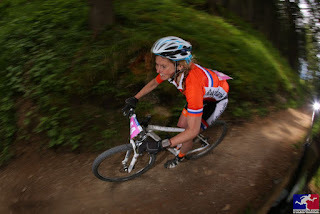 And leading up to racing the Marathon MTB Worlds I had spent 6 weeks mainly riding my MTB and only doing a minimal amount of running and swimming. I knew this. I also knew I was absolutely exhausted after the Italy trip. I knew it was going to be tough. With all this in mind I had no expectations. Or so I thought. It was certainly tough. The water was barely 10 degrees and I was not actually sure if I would manage the cold, but after one lap of the swim I was so numb that I did not feel anything anymore. My goggles kept on fogging up and with blue markers I kept on swimming off course and had to stop a few times to clean my goggles. 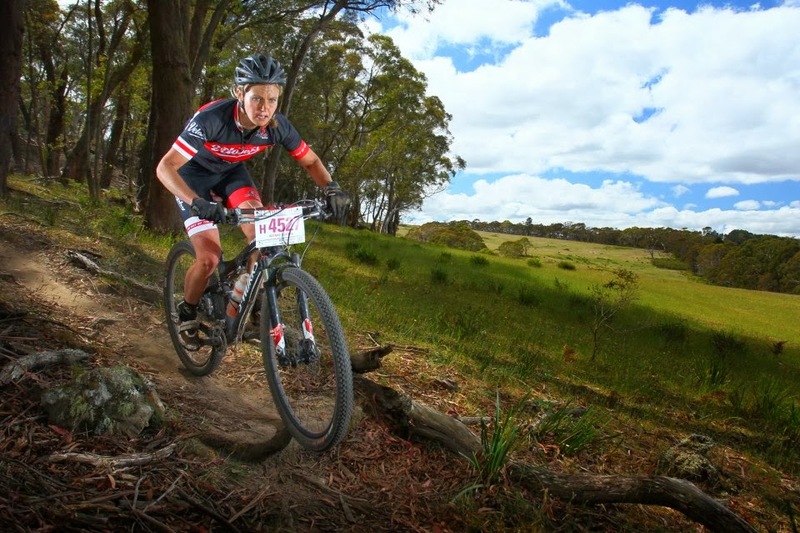 Not ideal but I felt alright and I was happy to reach transition just behind the 2nd girl and get on the bike. A 3 lap course. I forgot how to race a road triathlon, mentally I struggled to focus and concentrate on just turning over the legs. So different from riding the MTB on technical trails!! Although the scenery was beautiful, by the 2nd lap I had seen all I needed to see and I had to convince myself to hurt for another 3rd lap. I rode the descents a bit harder and cornered a bit tighter to add some excitement but decided this was not my idea of fun. I was on my own for the whole bike leg and run out of conversations with myself. I was told I was in 2nd place running through the bike/run transition with the 3rd girl hot on my heels. Strangely I did not really care. The run was on the road and I was not too bothered. Why did I not care? 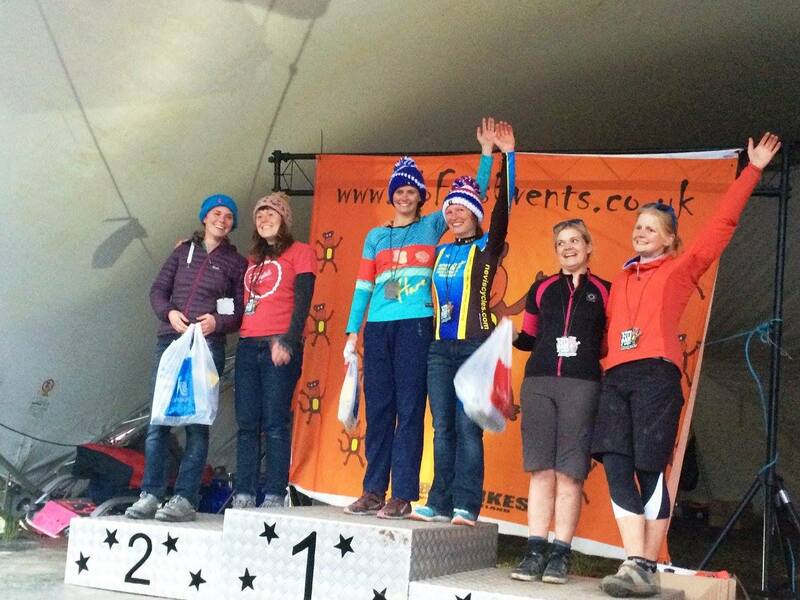 I run so slow that I lost the 8min lead I had on the 4th girl after the bike, in the last km of the run!! I was tired, my mind was tired. I was tired of fighting myself. I did not enjoy racing on the road even though it was a beautiful course and I finished being disappointed about my whole attitude. 4th place overall and 2nd in my AG. You could argue that is pretty good. In my head it wasn’t at all, it was not a huge field and I run like a duck. What did I expect? The odds were always going to be against me. Trying to be positive I argued with myself that at least I was in the top 3 till the very last km of the run, I did finish and it was supposed to be just a training day out in lead up to the Inferno. 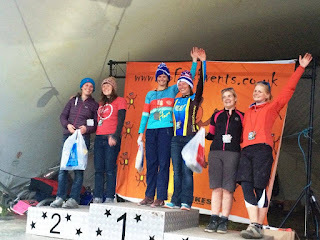 I decided to stay for prize giving to support No Fuss Events even if the rain had properly set in and I was suffering from post race hypothermia!! 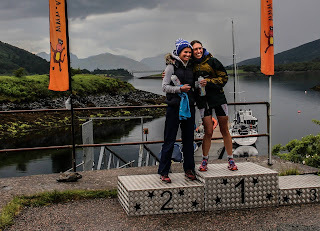 I am glad I did though since most people had gone home and it was nice to have a bit of a banter with the lovely girl Sally Staton who took the win in our AG and whilst doing it tried to motivate me to keep running by yelling out to me!! The last year or so I have been struggling a bit with my own mindset when it comes to the sport. And I have been told that I have to change how I think by asking myself these questions; What do I want? What do I enjoy? What makes me happy? What do I expect from myself? And to be honest I really don’t have the answers. Although I thought about getting another hobby a lot lately, I am not ready to give up entirely on racing, I still have goals I want to achieve. I still enjoy being part of it. But I have realized my goals really have nothing to do with that podium I was obsessed with a couple of years ago. I have to somehow realize and accept that this does not mean I have failed. Priorities change. Time for a little rest, reassess and carry on with the 2015 season, it has been a huge one already!! !